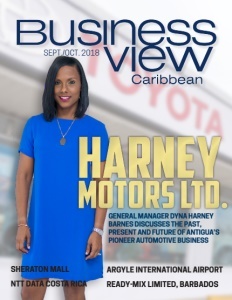 Business View Caribbean interviews Kim King, General Manager at the Sheraton Mall, as part of our focus on best practices of Caribbean businesses. Currently the largest and most convenient shopping destination in Barbados, Sheraton Mall is located in the Parish of Christ Church, on the southern coast of this Caribbean island of 286,000. In 1989, a property that was formerly owned by the Intel Corporation came up for sale, and the now deceased Mall’s co-founder, Marshall Oran, put together a group of partners and shareholders with the idea of building a shopping center on the site. Prior to the late 1980s, the concept of “out of town” shopping was not known to many Barbadians, and a major challenge of the venture was being accepted as a “one-stop” center for shopping outside of the city of Bridgetown. Things began to turn around in the summer of 1993, with the introduction of the Sheraton Centre Play Park. Now, the Mall was not only a convenient shopping location, but a fun place for shoppers’ children. Over the years, the Sheraton Mall has grown by leaps and bounds, living up to its slogan, “The Mall that has it All.” It houses over 120 stores, plus the largest food court on the island, a multiplex cinema, a bank, a pharmacy, duty-free shopping, and more. Over the years, the Mall has also become a supporter of many worthy, local causes, charities, and community projects, including the Kiwanis Club, the Rotaract Club of South Barbados, The Barbados Vagrant Society, the Breast Cancer Society, Drug Education & Counseling Services, and the Multi-National Fair. The highlight of Sheraton’s full calendar of giving, each year, is the annual Christmas Cheer program. 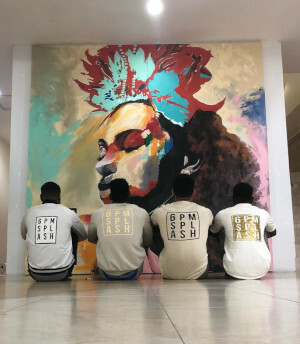 Now in its 21st year, the Christmas Cheer program will see the Mall throw open its doors to welcome over 75 children, specially invited from the island’s residential care facilities. Held on the first Sunday in December each year, these children enjoy free reign of the Mall and are treated to a movie, lunch, and a packed schedule of fun activities. 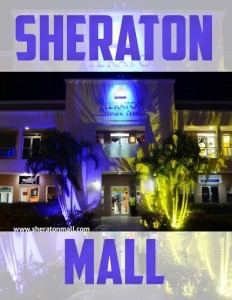 You can find our first feature on The Sheraton Mall in Barbados here. 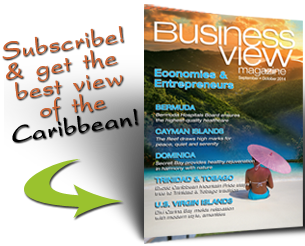 Check out this handpicked feature on Sky Mall in Barbados.